The face of your home, the façade, is generated by a mix of colours, materials and textures and sets the scene for your interior selections to follow. Henley shares the top five facades and their features, with some how to tips in creating a beautiful street presence. When you’re driving down a street and you’re looking for an address, you might just miss the finer details of what makes the home beautiful from the outside. 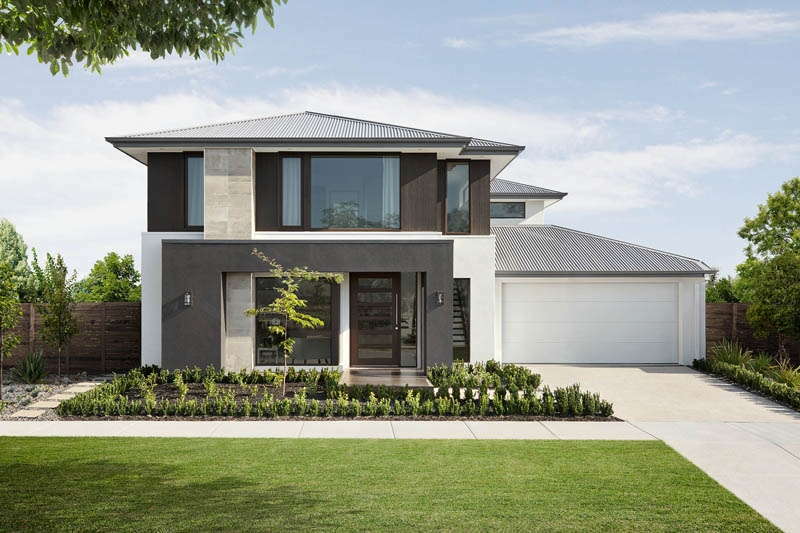 To create your ideal façade, it’s important to find the right balance of style and impact, Cassandra Lynch, Colour Design Consultant, Henley Design Showroom says. “Be on the lookout for images online or get inspiration from classic drive-bys and start handpicking the looks you love so you have some insights into your style before you’re making selections.” Pay attention to the materials used, bricks, render, timber or steel, and also take into account the texture of the materials and colours. 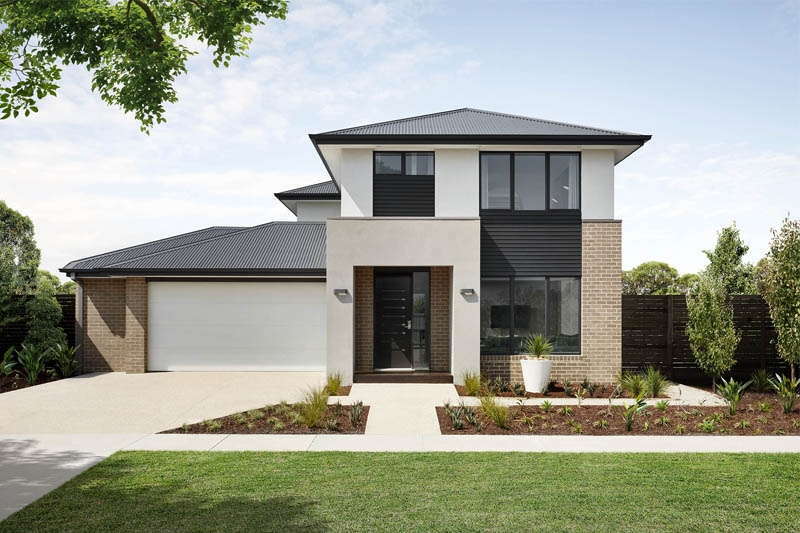 Cassandra adds, “Monochromatic colour Schemes using a combination of dark grey bricks and contrasting white/light grey renders and Matt finish Colorbond roof in either Monument or Surfmist and Aluminum black windows are the colour combinations which people are currently loving”. Choose a façade to complement the area your house is being built. For example,a neutral coastal façade such as the Eastport or Peninsular façade if building near the beach. Utilise cement cladding over natural timbers if you live coastal as the salty sea air will ruin any timber and will be a pain to maintain in the long term. Take inspiration from your design style. If you are drawn to more traditional or Victorian style furniture with antique furniture, perhaps go for a more traditional façade with decorative mouldings like the Marquess Façade. Or if you love modern architecture, straight lines and monochromatic colours, choose a modern façade like the Eclipse. The Avenue façade is as opulent as it is beautiful. 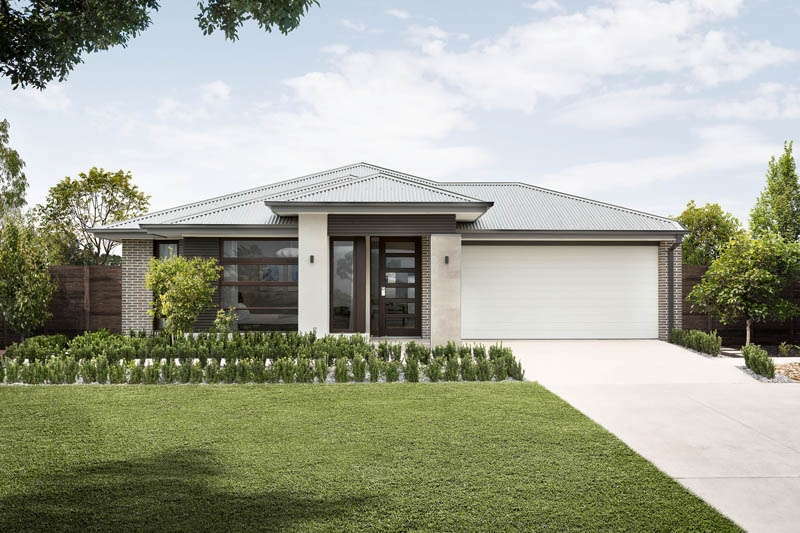 With the stunning Colorbond roof and a mix of cladding, warm timbers and cream render, this façade has a home in the top three. To finetune your preferred colour and feature selections, Henley has a very handy visualiser tool that will make the selection process a whole lot easier. There are a suite of Henley facades on displays peppered around Melbourne where you can see the facades in the flesh. And at Henley Design, the experts there can walk you through the options in the exterior courtyard and help you with your final design.